If you’ve driven by Butler Ford on Highway 99 in the last few weeks, you may have noticed a few changes, like the disappearance of the Ford showroom. This is the first time the blue oval hasn’t graced 1977 Highway 99 North since 1977, when Chuck and Linda Butler moved the Ford dealership they purchased a year earlier from downtown Ashland to its current location. 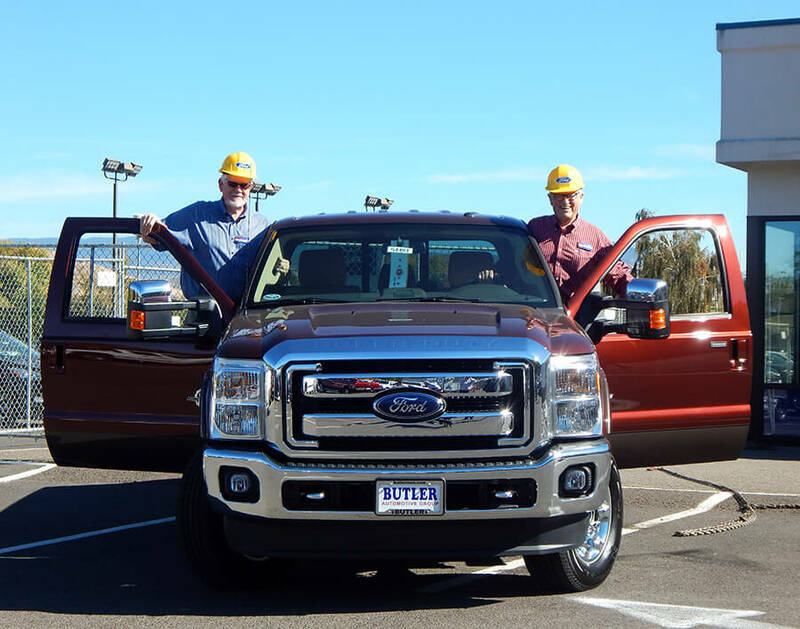 But despite the lack of a Ford showroom and the presence of construction equipment, life at Butler Ford is still very much business as usual. While day-to-day activity continues as usual in the Butler Acura showroom, our staff is understandably engrossed in the dramatic changes taking place next door. Demolition started in grand fashion, as Founder and President Chuck Butler and Managing Partner Warren Cooper, with help from the fine folks at Adroit Construction Co. Inc., tore down the north wall of the Ford building with a Ford F-350. Butler Ford wasn’t built in a day, but once the excavator arrived, it was demolished almost immediately. The feeling was decidedly bittersweet. On the one hand, our entire staff was saying goodbye to a building that was the first branch of a business that now exists in two towns, four locations, and has over 100 employees. On the other hand, we’re car people; many of us fell in love with the heavy-duty vehicles we now drive, sell, and service as children watching construction vehicles at work. Construction is set to be completed in the spring, and until then, life continues more or less as usual at Butler Ford. We’re getting acclimated to working in a showroom that doesn’t have any Mustangs in it, and Rocky is sorely missing the office he fondly calls his “man cave,” but otherwise, we’re excited about a new building as bold and elegant as the vehicles we’ve been proud to sell for almost 40 years.